On March 16, the Trump Administration released preliminary, high-level details of its fiscal year (FY) 2018 budget request, referred to as a “skinny budget.” Full budget details are expected sometime in May. There are few surprises in the President’s “safety and security” budget blueprint. Major reductions are proposed for nondefense discretionary programs (including research accounts) in order to finance $54 billion in increases for the Department of Defense. Of course, to achieve such a reallocation, Congress would need to act to adjust the budget caps that are currently governing defense and nondefense discretionary spending; the President cannot unilaterally shift funds from nondefense accounts to defense under current law. For now, the budget only includes proposals for Cabinet-level departments and a handful of other “major” agencies. For example, it includes preliminary details for the National Institutes of Health (NIH) (which would take a $6 billion hit) but not for the National Science Foundation (NSF). Instead, NSF appears to be lumped in with “Other Agencies,” which collectively would receive a 10 percent cut in FY 2018 (see the chart below). This DOES NOT necessarily mean that NSF is slated for a 10 percent cut; we will have to wait to see the details in May. Read on for COSSA’s analysis of the FY 2018 proposal as known so far. 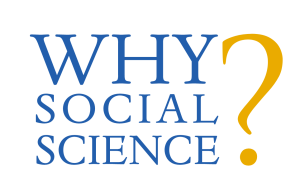 This week’s Why Social Science guest post comes from Marcia McNutt, President of the National Academy of Sciences, who writes about how social science has helped us learn how to respond to natural disasters. Read it here and subscribe. With the COSSA 2017 Science Policy Conference & Social Science Advocacy Day just over a week away, now is your last chance to register. Don’t miss this important opportunity to learn about social science in the Trump Administration, engage with colleagues from across the science and higher education community, and take action in support social and behavioral science! Check the Conference website for the most up-to-date information on Conference speakers, sessions, and logistics. On March 8, COSSA submitted testimony to the House Appropriations Subcommittee on Labor, Health and Human Services, Education and Related Agencies for fiscal year (FY) 2018. The testimony calls for increased funding for the National Institutes of Health (NIH), Agency for Healthcare Research and Quality (AHRQ), Centers for Disease Control and Prevention (CDC) and National Center for Health Statistics (NCHS), Institute for Education Sciences (IES), and International Education and Foreign Language Programs (Title VI and Fulbright-Hays). National Institutes of Health (NIH) Office of Behavioral and Social Sciences Research Director William (Bill) Riley recently released commentaries on the office’s 2017-2021 Strategic Plan three scientific priorities. Nominations are being accepted for potential recipients of the National Medal of Science and the National Medal of Technology and Innovation. The National Medal of Science recognizes individuals who have made outstanding contributions to knowledge in the physical, biological, mathematical, engineering, or behavioral or social sciences. The National Medal of Technology and Innovation is awarded to individuals, teams, companies, or divisions of companies for contributions to America’s economic, environmental, and social well-being. Nominations for both Medals are due by April 7, 2017. Medal of Science nominations may be submitted here. Medal of Technology and Innovation nominations may be submitted here. On March 9, COSSA, as co-chair of the Friends of NIH Behavioral and Social Sciences Research (Friends of NIH BSSR) with the American Psychological Association (a COSSA founding member), submitted a statement for the record in support of the National Institutes of Health and its Office of Behavioral and Social Sciences Research (OBSSR). The statement emphasizes that the behavioral and social sciences are integral to the NIH mission and highlights the fact NIH supports behavioral and social science research throughout its 27 institutes and centers. The Friends of NIH BSSR is a coalition of professional organizations, scientific societies, and research institutions concerned with the promotion of and funding for research in the social and behavioral sciences.